The Blues went out of the competition after a 2-2 draw with FC Istiklol in the Inter-Zonal Final and once again fell agonizingly short on their bid to create history. October 2017 has been a defining month for every Indian football fan. India is hosting an international football event as big as the FIFA U-17 World Cup and Indian team provided a credible account of themselves to boot. 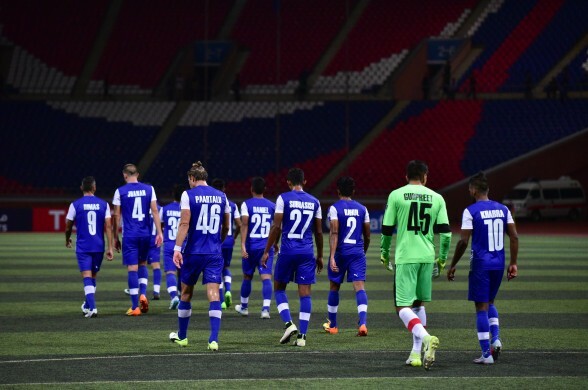 The Indian national team stormed to the to the AFC Asian Cup 2019 for the first time since 2011 and ever-growing ISL club Bengaluru FC fell agonizingly short of making the AFC Cup Final for the second consecutive season. The final of the Inter-zonal playoff was a two-legged affair. Bengaluru FC clutched FC Istiklol’s attacking players in Dushanbe, Tajikistan with a stern defensive approach which saw them return to India only one goal behind their rivals.Needing to win by two clear goals in the second leg the Blues fell just short and lost 2-3 on aggregate after drawing 2-2 at home. 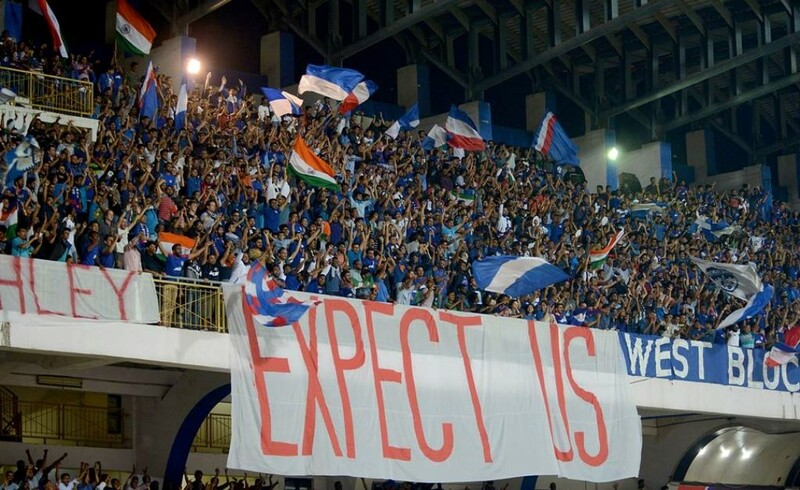 Since being formed, Bengaluru FC have been the one club Indian fans could look up to with pride for what the club has achieved in continental tournaments, certainly in recent times. It was only one year ago when BFC entered the history books after fighting their way to the first ever AFC Cup final competed by an Indian club. In the final, they were undone by the mighty Al-Quwa Al-Jawiya. This season, they directly qualified for the group stages of the Cup, unlike Indian nemesis Mohun Bagan AC. Bengaluru, appearing for the third time in the competition, qualified as the I-League champions and were drawn into a group that had Mohun Bagan, who qualified after winning the playoff rounds. 2016’s Maldivian league champions Maziya Sports and Recreation Club and Bangladesh's 2016’s Federation Cup winners Dhaka Abahani were also part of the group. It was supposed to be a facile group stage errand, but it turned out to be a toil as Bengaluru only edged past Maziya on a better head-to-head record after finishing level with them on points. They both won four games out of the six they played and lost the other two. Bengaluru qualified for the knockout stages courtesy of wins against the Maldivians home and away. 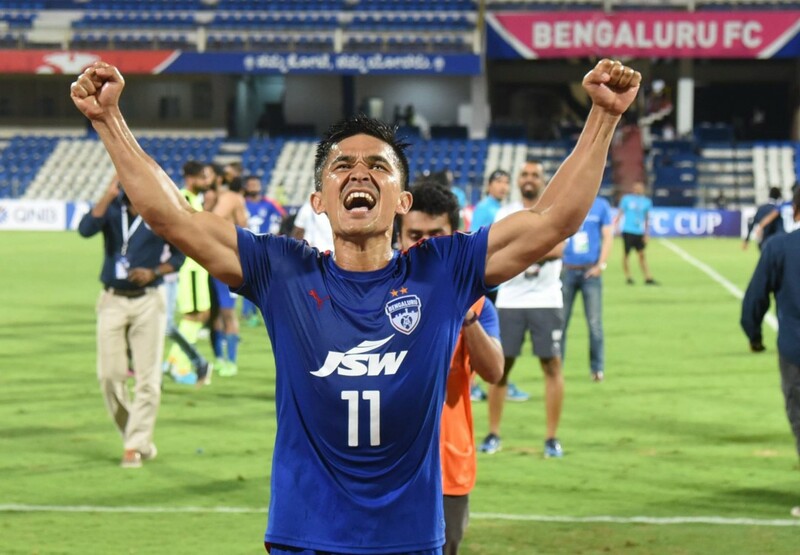 Bengaluru won their first game of the tournament against Mohun Bagan at home courtesy of a Sunil Chhetri strike after Sandesh Jhingan neutralised Katsumi Yusa's goal from the spot. In the second game of the group, they won an important away fixture against Maziya when John Johnson scored a last-minute goal, the only of the game, to maintain their impressive start in the tournament. Marjan Jugović and Nishu Kumar scored in the next home game against Abahani to maintain a perfect start for Bengaluru. The home side kept a clean sheet for the second consecutive game in the AFC Cup. In the return fixture, Abahani avenged their defeat by humbling the Indian club in Dhaka, defeating them 2-0. It was the first of two away defeats of the group stage. The second game was against Bagan, the very next match. Both the sides fielded second teams to make sure the players had enough rest for the upcoming Federation Cup final. In the final game of the group stage, Bengaluru picked up an all-important win against Maziya at home through a Chhetri free-kick and qualified for the Inter-zonal semi-finals. Bengaluru made the most of the home advantage at the Sree Kanteerava Stadium this season. They were unbeaten at home throughout the campaign, but unfortunately, could not pull off the clear win they needed last night. The Albert Roca managed side isn't a one-man team as some might have you believe. They have played well as a team and aren't dependent on any single player. As many as seven players have found their names on the scoresheet for the Blues with Chhetri being the top scorer of the team. Bengaluru have a solid defensive lineup difficult to break down for any team, on their given day. They had one of the best defensive records in the Cup despite playing more games than many. In Gurpreet Singh Sandhu, they had one of the best goalkeepers of the tournament. Players like Harmanjot Khabra, Juanan and Erik Paartalu established themselves as fan favourites with some impressive performances against the top teams. In the inter-zonal playoff semi-final Bengaluru FC faced group I winners April 25 SC in a two legged affair. Again, it was the home leg that did the trick for the Blues as they thumped three past the North Korean side without reply. 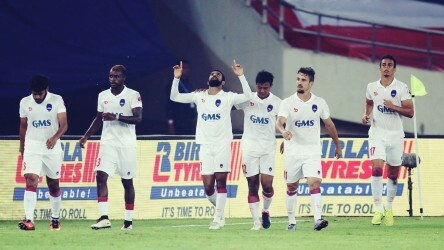 Chhetri opened the scoring courtesy of a penalty before Udanta Singh and Lenny Rodrigues added their names on the scoresheet. In the return leg in Pyongyang, Bengaluru played out a goalless draw and booked their place in the inter-zonal final against Tajikistan's FC Istiklol, which as aforesaid, they narrowly lost on aggregate. 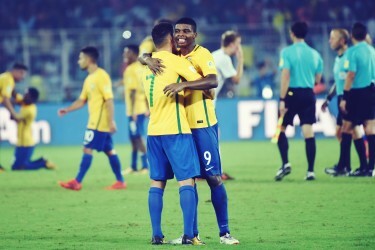 A combination of bad luck and poor refereeing decisions put paid to the Blues' continental ambitions this season but Roca's men have proved that they are one of the best teams in the tournament and belong on this stage. Expect them to come back stronger next season to script another remarkable chapter of Indian football.